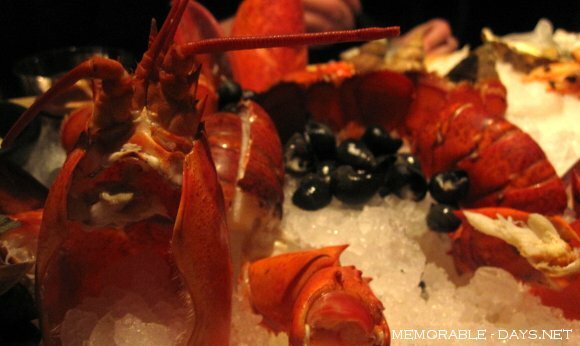 Seafood: Yay or Nay? | Memorable Days : Beauty Blog - Korean Beauty, European, American Product Reviews. Yesterday I went to an all u can eat sushi restaurant called Genki in Amsterdam and my friends and I had some nice seafood and sushi there ^_^. 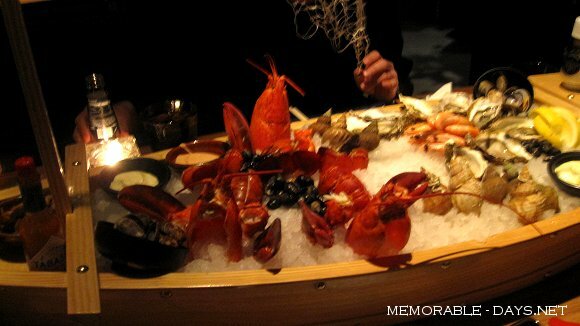 We had chosen for the golden menu which includes a boat with heaps of seafood like lobsters, oysters, prawns, a scale of Dutch shrimps, periwinkles (=sea snails), clams and bulots. This was our entrée actually, the amount was just right for four people. We didn't even know how to eat those periwinkles and bulots at first since we don't eat it often o__O". Anyways, the smell of periwinkles were so bad >.<", the only thing that I liked were prawns, lobsters and shrimps. Can you guess how expensive this boat was? This picture is taken by Su, a friend of mine. She took it with her blackberry so the quality aint that great. However, I just wanted to show you how much it actually was o__O". Do you like seafood and do you dare to eat snails XD? 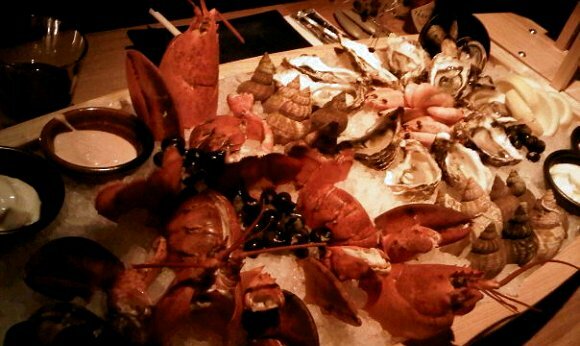 I never had lobsters before but I love shrimp and crab. I don't think I could ever eat those snails though! The rest looks yummy though! Wow that is really special! And I think I've eaten snails before. XD those black ones. @Jae gibbs, yeah, it is hard to eat. there was also a bit sand in it >.< "EEK! uhhh...I'm not wild about seafood...esp if I can still see the antennae and legs on the lobsters >< They remind me of overgrown cockroaches. and the eyeballs on the shrimp! They look like they're pleading for mercy! when i was little i used to hate all seafood but funny how my taste bud evolved over time. I now love oysters, lobsters and prawns...fat prawns. haha snails i would only try if i'm in france i think i'd get too many stares here. HELL YEAH seafood! Sushi, risotto ai frutti di mare, sandwiches with salmon and cucumber... You name it, I eat it! Including the sushi with real life in your face tantacles at the sushi bar my friends didn't dare to touch :P Not so much taste, but al really funny texture! @Elle, yeahhh i always think that those eyeballs are super scary o_o" I never look at it >.<"
@Charlotte, whuahahah, the texture is nice indeed ^^ !! a few friends of mine never want to eat those japanese octopus, because you can see those tantacles .. well, i'm just eating it ='D it's way too delicious hahah..